Thanks for visiting our listing, this tastefully furnished condo is our place to go relax, renew, and rejuvenate away from our daily hustle. Our kids lovingly call our home away from home as “Guava Getaway”. 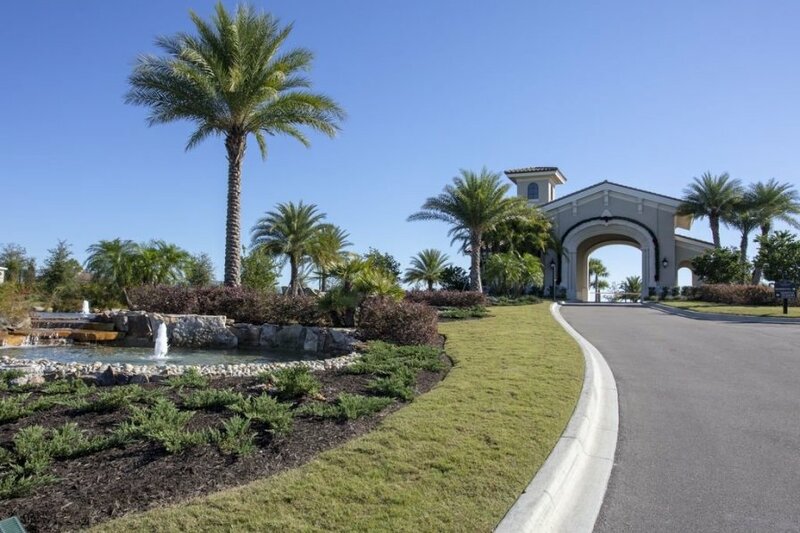 This serene, calming, spaciously, and fully furnished condominium is part of a beautiful Lakewood National Resort style magnificent Golf community. The community comes with Arnold Palmer designed Golf Course. In addition to the satellite pool, the clubhouse has a resort pool with a separate lap pool, eight lighted Har-Tru clay tennis courts, a poolside café, a full-service spa and more. We are sure you and your family will be delighted to spend your vacation here. The fully furnished brand-new condo has everything you’ve been looking for your next vacation. We believe kitchens bring families together and ours features wooden cabinets, stainless steel appliances, a formal dining table that seats six, and a granite center island with bar stools for casual dining. This space flows right into the living area so you can feel connected to your loved ones while cooking. The living room comes with 55 inch TV, DVD player, and a sectional, that can be pulled out and used as a queen size bed for additional guests. The living room and the dining room provide a beautiful view of the water and the golf course. From the living room you can access the lanai that is net protected for comfort. The master suite comes with a queen size bed and a second TV for your privacy. The second bedroom offers a queen size bed next to a full common bathroom. For your convenience we also offer high speed wi-fi, smart locks on the front door, and a separate storage room perfect for storing bicycles, golf equipment, or anything else you don’t want inside the home. •	International businesses and travelers on assignments.